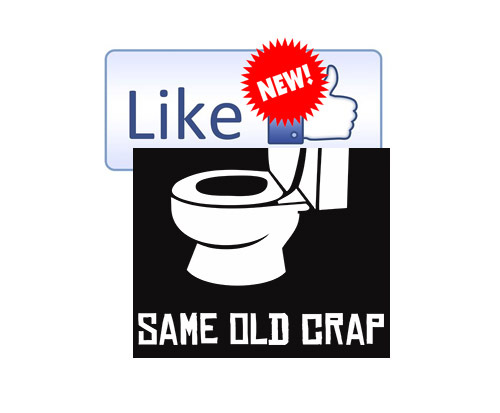 Why do we like to like the same things, until the thing we liked becomes the same old thing? Why is there “Good as New” and “Like New”, but not “Same as New”? I think that the difference between like and same are especially related to consciousness and support the idea of awareness (and therefore attention) as more ‘like’ novelty and ‘like-ness’ than it is ‘the same as’ the integration or processing of information. Machines are characterized by their ability to do the same thing, over and over. The idea behind digital technology is really to be able to do the exact same thing, over and over and over, forever. Does this kind of behavior wake us up or does it lull us into a stupor? What kinds of things put us to sleep and what kinds of experiences wake us up? Waking up is not an abstract theory. Waking up instantiates us into the directly and concretely sensed now, into public time. The now and the new are unrepeatable and unique, thus there can be nothing which is ‘the same as’ new without actually being new. When we say that something is ‘the same’ as something else, we are often speaking metaphorically. What we mean is that the difference is not important, and that one thing is functionally equivalent to another. Where metaphors are ‘like’ conceptual rhymes or semantic likeness which cut across the whole of human intuition poetically and aesthetically, mathematical metaphors are aiming for the opposite effect in which meaning is frozen into position, clear, defined, and unambiguous. This is meaning which has been reflected in the looking glass of thermodynamic irreversibility. It is the privatized essence of publicity. When we look out of ourselves, we see only that which can be decomposed and measured. Feeling is presented as figures, and figuring them out literally gives us a feeling of transcending the ambiguity, fluidity, and obscurity our own subjective awareness. I see the opportunity that lies before us is to recover the authenticity of awareness without sacrificing the reliability of its substitute. The worldview that is driven by quantitative formula alone cannot locate the now, other than as a promise that it will eventually be found – under a heap of accidents. Accidents and probability are the inverted image of intention and likeness. They are what you get when sameness is assumed to be primitive. The universe is failed sameness and broken symmetry – serial mutation. To overcome the prejudices inherent in this worldview, an important step is to understand the irony that the intention behind measurement leads to its own perfect illogical fallacy. To count and codify is to try to escape from personal bias and fuzzy ‘likeness’ which is not the ‘exact same thing’ as truth, but what we have found increasingly, is that we cannot be immune from an equally toxic bias toward the impersonal. As much as we want to be ‘certainly in the right’, and to put ‘everything under the sun’ in tune, the enlightenment of the Western mind is eclipsed by its own insensitivity and denial. The more that we seek out the next product or service to make us feel ‘like new’, the faster it becomes the same old crap.